As I mentioned earlier, this station was destroyed in the 1989 Loma Prieta earthquake. 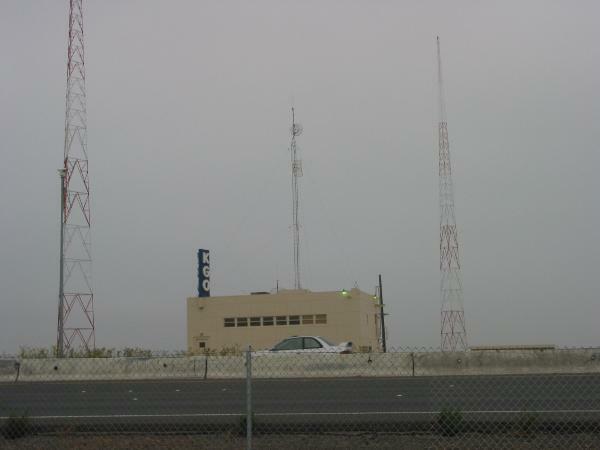 The KGO towers that people have seen since then are replacements, so they are not HT2630. The NGS has now officially declared HT2630 destroyed. You can see the updated datasheet on the [url=http://www.ngs.noaa.gov/cgi-bin/ds_mark.prl?PidBox=HT2630]NGS website[/url]. HT2360 is a good object lesson on how confusing intersection stations can be. 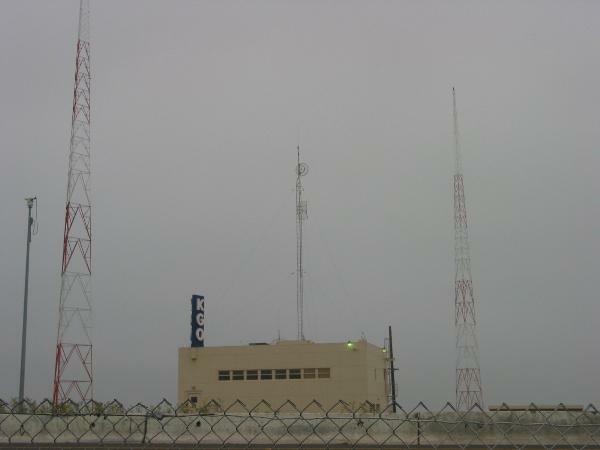 You see a radio tower or a church steeple or a water tower and you think, "Aha--the survey station is still there!" But it usually takes some research to confirm that, unless you're already familiar with the history of the station for its entire life. In this case, all three KGO towers were damaged during the 1989 Loma Prieta earthquake and had to be replaced. 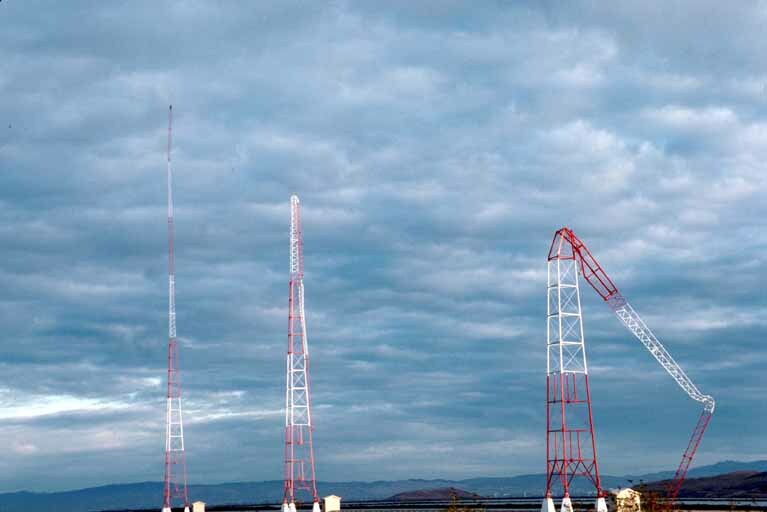 So none of the towers seen today--including the center tower mentioned in the description of HT2360--were the ones in existence at the time this station was created. I'm attaching a photo taken by the USGS of the damaged towers. Rather an easy find I must say. The horizontal coordinates were established by classical geodetic methods and adjusted by the National Geodetic Survey in March 1994. The horizontal coordinates are valid at the epoch date displayed above. The epoch date for horizontal control is a decimal equivalence of Year/Month/Day.